I cranked up the wide screen high definition Vizio and my beloved ROKU box today. 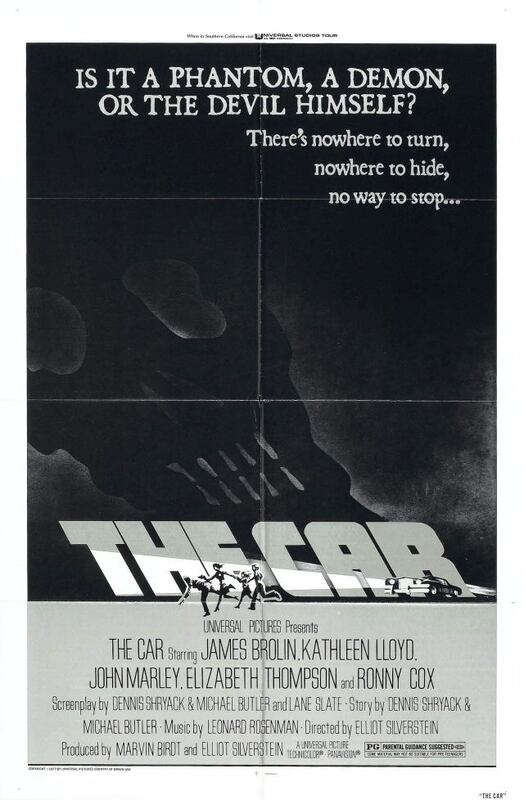 With my Netflix account, I took a gander at The Car, a 1977 spectacular starring James Brolin. The Car starts with a quote from the Church of Satan leader taken from the Satanic Bible, so you sort of know right from the jump where this story line (such as it is) is headed. 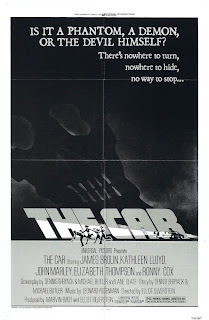 Not very much plot to get in the way of the mayhem here.....Evil entity dressed up like a customized 1971 Lincoln starts killing off wonderful hippie-type folks in a small town. James Brolin is the heroic Sheriff who manages, at the end, to finish off the evil entity in a massive dynamite explosion. Looks like the Devil wasn't all that hard to take care of after all, at least in 1977. In between the Satanic quote and the explosion, we have plenty of the normal mid-70s clap-trap---namely, some native American wisdom, some up-tight elderlies, some flowered wall-paper, and lots of bell-bottom jeans. Man do I love this sort of movie. 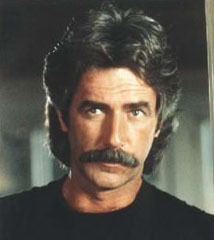 Like I said, the main character is the Sheriff, played by James Brolin. That’s not his real name, of course. He was born in 1940 as Craig Kenneth Bruderlin. I dunno, but Craig seems like a fine name to me.....Worked out OK for Craig T. Nelson, I think. He’s married to Barbara Streisand and is known around town as “Mr. Streisand”. Not too surprising given his campaigning for Hillary in her failed presidential bid. The real star of the show though, is The Car--an $84,000.00 investment. And that was in 1976 dollars. That’s a lot of lettuce in anybody’s book. The Car does plenty of killing, but there’s no gore. Bring the kiddies--they’ll have a “whee” of a time. If you only have one chance to watch a movie with absolutely every trapping of the mid-70s in it, this is the one. A real “don’t miss” here. Definitely worth the time spent, if only for the Satanic quote and the bell-bottoms. Have a look. On Netflix.